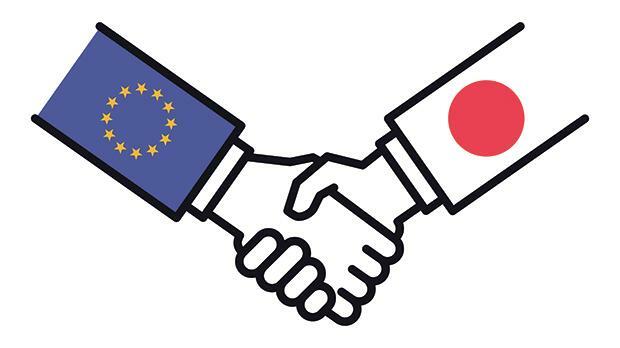 The EU-Japan Economic Partnership Agreement (or free trade deal), which took effect on Febrtuary 1, has been described by the Chamber of Commerce as “good news” for local small enterprises, in particular Malta-based manufacturers, service providers, tech start-ups and small exporters. To date, the Chamber said, such local companies have been disproportionately affected with cumbersome procedures and did not have the time and resources to make the Japanese market work for them. A Chamber spokesman told The Sunday Times of Malta that the two major advantages for Maltese entrepreneurs deriving from the EU-Japan Economic Partnership Agreement are the removal of tariffs and simplified customs procedures to export; and secondly, the exploitation of our geo-strategic location for Japanese imports to reach both Europe and North Africa. Maltese consumers are also expected to gradually benefit from some price reductions, particularly on cars as a 10 per cent tariff on vehicles imported from Japan is to be phased out over seven years. The EU Japan agreement is the largest bilateral trade deal ever made by the EU in terms of market size and creates the largest free trade zone in history. The Chamber said it took note of the full liberalisation and withdrawals of NTBs (non-tariff barriers) for electronics, machinery and appliances; the phasing out of the tariffs in fisheries and also the ease in attracting more Japanese students to Malta to learn English as foreign language – as the services sector is also being opened up. It also underlined significant potential for other industries like agro-food, pharmaceuticals, rubbers and plastics and chemicals, which already place well in our trade statistics. “In the spirit of facilitating the uptake of this opportunity, the Malta Chamber calls for a swift conclusion of further negotiations between the EU and Japan on the standards and investment protection dispute resolution. The establishment of this dispute resolution mechanism will provide further confidence as it will ensure that rights and obligations under the agreement are fully observed through an effective, efficient and transparent mechanism,” the spokesman said. The Malta Chamber emphasised that the Economic Partnership Agreement is an achievement but not an end in itself. • A new marketplace for 635 million people and almost a third of the world’s Gross Domestic Product. • The vast majority of the €1 billion of duties paid annually by EU companies exporting to Japan will be abolished. • Japan will have scrapped customs duties on 97 per cent of goods imported from the EU. The agreement also removes a number of long-standing non-tariff barriers, for example by endorsing international standards on cars. • Annual trade between the EU and Japan could increase by nearly €36 billion once the agreement is implemented in full. • The fisheries and aquaculture industry will have a 3.5 per cent tariff waived over five years, which is very positive for tuna exports. • Electronic machinery equipment manufacturers are expected to increase their sales to Japan through the abolition of existing NTBs. • Rubber and plastics importers and distributors: Full liberalisation and abolition of NTBs. • The automobile sector is expected to do more business due to 10 per cent tariff to be phased out over seven years. A three per cent tariff on most car parts will also be done away with. • Knitted fabrics will benefit from the abolition of a 7.9 per cent tariff. • Tariffs on food products and wine will be abolished. • Services markets, such as financial services, telecoms, education services, e-commerce and transport, will be opened up.